There is not cure for ADHD. But there are effective ways to deal with the symptoms of this common behavioral disorder. From medications to counseling to home remedies, the treatment options for children with ADHD can help patients grow up to live normal adult lives. ADHD is the most common behavioral disorder among children. However, if left untreated, the condition can continue into adulthood. Kids with ADHD suffer from a combination of poor attention span, overactivity, and impulsive behavior. About three to seven percent of school-aged children have ADHD. Boys are diagnosed with the disorder more often than girls. ADHD used to be called attention-deficit disorder (ADD). However, this name was not an accurate description of the condition. ADHD is a better label because it describes both of the main features of the disorder: poor attention and overactive-impulsive behavior. Some children may have more trouble with inattention, while others struggle more with overactive behavior. Regardless, most children with ADHD experience a combination of inattention and overactive behavior. Children with ADHD can show a variety of symptoms. Diagnosing ADHD is no easy business. There is a lot about the condition that researchers and doctors do not understand. Many children are wrongly diagnosed with ADHD, while many others who have the disorder go without a diagnosis. In order to diagnose a child, a doctor may use parent and teacher questionnaires, psychological evaluations of the child and family, and complete examinations of developmental, mental, nutritional, physical, and psychosocial aspects of the child. For the diagnosis, doctors are looking for some very specific signs that have to happen in more than one setting. Children should have a minimum of six attention symptoms or six overactivity or impulsivity symptoms. Some of these symptoms should be present before the child turns seven years old. Children must have ADHD symptoms for at least six months in multiple settings. These symptoms must bring on huge difficulties at home, school, and social situations. It may be easy for parents to think their child's ADHD is their fault, that they did something wrong in raising their kid. But that is not the case. It is more likely that children with ADHD inherit some genetic traits. Environmental factors also may be to blame for a child's inattentive and hyperactive behavior. Altered brain function and structure. Brain scans have shown that people with ADHD have differences in their brain structure and activity compared to those without ADHD. These differences mainly involve the parts of the brain that control attention and activity levels. Genetics. Frequently, ADHD is passed down through families. Researchers are currently studying certain genes that may be involved in the development of ADHD. Pregnant mothers who smoke, drink, and do drugs. Women who smoke during pregnancy are more likely to have children with ADHD. Pregnant women who drink or do drugs can affect the structure and activity of their child's brain before he or she is born. Exposure to environmental toxins during childhood. Young children who are exposed to certain toxins - such as lead in paint or pipes - may have a higher risk of a shorter attention span and unruly behavior. Food additives. Some substances added to food have been linked to overactive behavior. These substances include artificial coloring and preservatives. Some people also blame sugar. However, there is no good evidence that sugar is a culprit. What are the treatment options for patients with ADHD? Treating ADHD involves more than popping some pills each day. Dealing with inattentiveness and hyperactivity is a team effort that includes the doctor, parents or caregivers, and the child. This team must work together to set goals for therapy; to make sure the child is regularly taking medication and receiving behavioral therapy; and to see to it that the child gets regular check-ups on the child's progress. The two main types of drugs used to treat ADHD are stimulants and the nonstimulant Strattera (atomoxetine). Despite being called stimulants, these drugs have a calming effect on ADHD patients. They work by boosting and balancing chemicals in the brain called neurotransmitters. They treat the main ADHD symptoms of poor attention, impulsive behavior, and hyperactivity. In some cases, stimulants have a substantial effect. But they can only work for a limited amount of time. As with most drugs, stimulants are not without side effects. ADHD patients who take stimulants may experience a reduced appetite, weight loss, trouble sleeping, and irritability as the effect of the drugs wears off. Some children and teens taking stimulant drugs have died from heart-related causes. However, these kind of deaths are rare, and it is hard to tell whether the medication drove the death or patients already had underlying heart problems. If stimulant drugs do not work or cause side effects, children with ADHD may be prescribed the nonstimulant Strattera. Like stimulants, Strattera reduces the symptoms of ADHD. On top of that, it can reduce anxiety. The side effects of Strattera can include sedation, nausea, and more serious complications like liver problems, unexplained flu symptoms, or dark-colored urine. Children with ADHD may be prescribed antidepressants if stimulants or Strattera do not work, or if they have a mood disorder on top of ADHD. High blood pressure drugs are also used to reduce tics or insomnia than can result from ADHD drugs. These high blood pressure medications include Catapres (clonidine), Intuniv (guanfacine), and Tenex (guanfacine). Behavior therapy or counseling can be of huge help to children with ADHD and their families. Counseling can teach children how deal with their symptoms and give parents the tools they need to guide their child's behavior. Behavior therapy, in which parents and teachers learn strategies to deal with the the tough task of watching over an ADHD child. Such strategies may involve reward techniques or timeouts. Psychotherapy, which gives older children with ADHD a forum to talk about their problems, to realize their negative behavior, and to learn ways to deal with their symptoms. Parenting skills training, which helps parents figure out and guide their child's behavior. Family therapy, which can provide parents and siblings with ways to cope with the stress of living with a person who had ADHD. Social skills training, which can teach children how to behave appropriately in social situations. Support groups, which can give children with ADHD and their families a network of social support, information, and education. Physical activity may help children with ADHD manage their symptoms. Brain scans have shown that physical activity may have a positive effect on the same neurobiological mechanisms that play a role in ADHD. 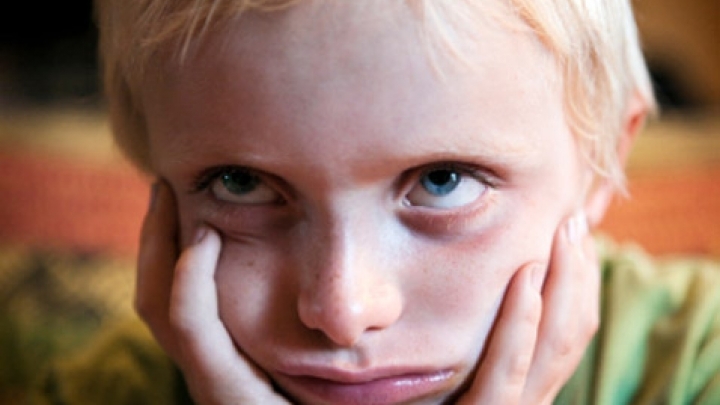 Having a child with ADHD can be a stressful endeavor. At times, it may seem like a overwhelming task to get your child to focus, to do well in school, and to behave appropriately. But remember, there is a team of people out there to help you. Working with doctors, psychiatrists, psychologists, social workers, or other health care professionals can help you find what works best for your child. U.S. National Library of Medicine, "Attention deficit hyperactivity disorder (ADHD)" Mayo Clinic, "Attention-deficit/hyperactivity disorder (ADHD) in children" TeensHealth, "ADHD" Centers for Disease Control and Prevention, "Attention-Deficit/Hyperactivity Disorder (ADHD): Data & Statistics" U.S. Department of Health and Human Services, "Physical Activity Guidelines for Americans: Can Physical Activity Help Children with ADHD?"